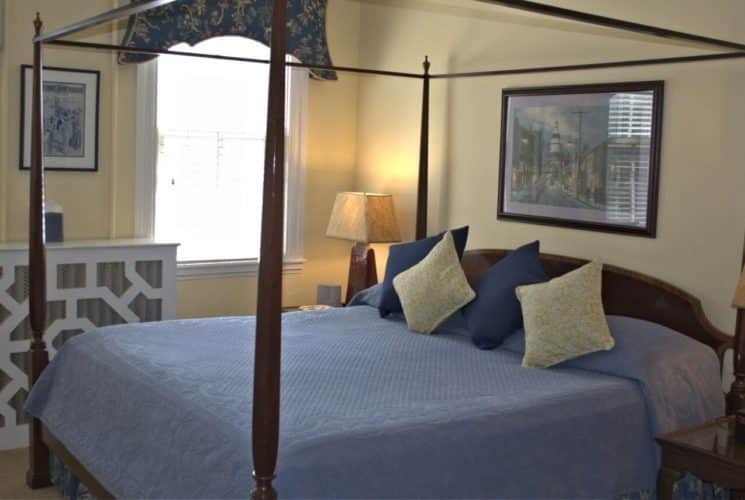 Located near the waterfront and US Naval Academy in Annapolis, MD, Flag House Inn is a refreshing alternative to hotels for both leisure and business travel. 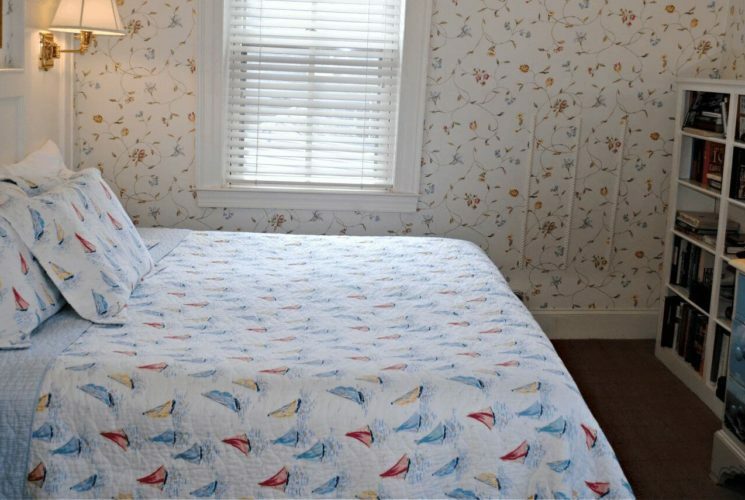 The inn consists of five unique and individually decorated guest rooms. All rooms have private bathroom with cable HDTV, A/C & heat, free high-speed Wi-Fi, hair dryers and clock radios with built-in electric plugs/ USB chargers. Four of the rooms are on the third floor, and our two-room suite is located on the second floor for those wanting less steps, more privacy or with 3 guests. The inn is non-smoking, and we cannot accommodate pets. 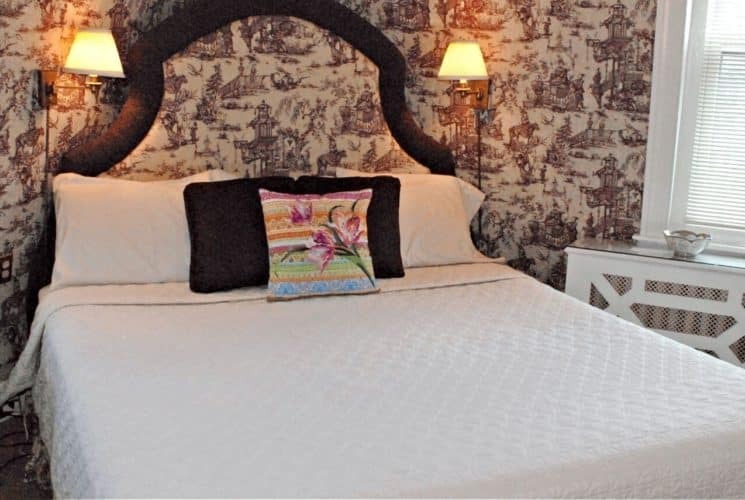 Each room has comfortable chairs or a love seat for your relaxation and good lighting by each chair and bedside. We have slumber sound machines in each guest room to soothe you to sleep after a busy day in Annapolis. Our four king bedrooms on the 3rd floor (including one room that can convert to 2 twin beds) can accommodate a maximum of two people. 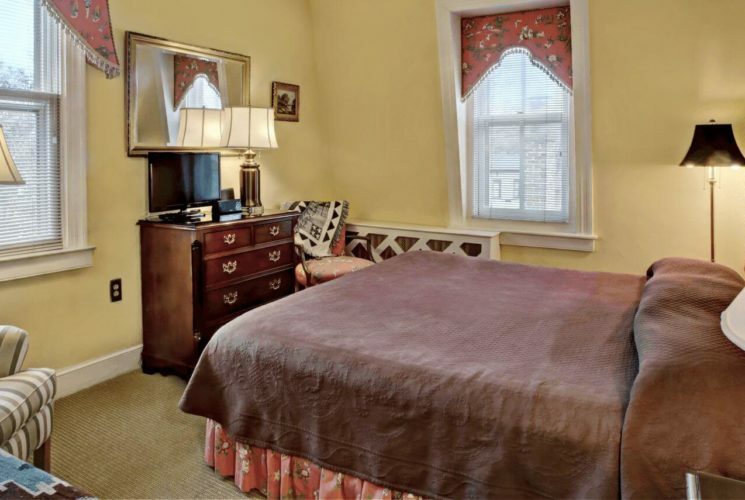 Our two-room suite on the second floor can accommodate a maximum of three people. Children & pets: Our general rule is that we welcome children 13 years and older. In certain situations, we will welcome younger children, this should be discussed by phone in advance, we will do our best to balance your needs and our other guests. As much as we love all pets, we are unable to accommodate guest pets. In each room, we have a guest information book, which we have put together over the 26 years’ operating as Flag House Inn. The book contains information on eating and drinking around town, walking maps, bus and boating tours around Annapolis Harbor & the Chesapeake Bay, touring the US Naval Academy, tours of the historic homes, kayaking and shopping areas not to miss… (whew!) … And all these experiences are within a 5 – 10 minutes’ walk from our front door. At check-in or in advance, we can provide our own list of recommendations, as the restaurant scene & tours are always changing. We are actively exploring and adding to our own experiences. Pricing is seasonal, generally Monday- Tuesday – Wednesday are lowest cost, Thursday – Sunday are generally higher as weekend rates. Reservations including Friday – Saturday night usually require a minimum 2-night stay, though we relax the 2-night minimum if rooms remain available about 10 days out. Peak events often carry higher rates and longer minimum stays, such as Commissioning Week, Fall Boat shows, Induction Day/Parents Weekend and Navy Football games. Our two-room suite is the only room located on the second floor and is ideal for those wanting less steps, more privacy or with an extra guest. There are significant sitting areas as the room stretches from front to back of house. These two rooms (Far East & Commodore) are on 3rd floor in front of house and offer a larger sitting area, separate water closet and shower rooms, and overlook the entrance to the Naval Academy. These two rooms (Water Witch & Sailing Capital) on the 3rd floor in the rear of the house and can be quieter. These rooms are lower priced but still offer all the amenities of the larger rooms. 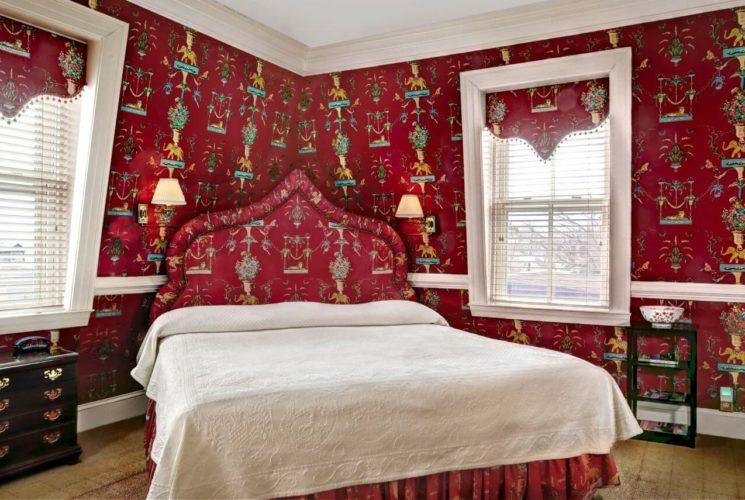 All rooms are richly decorated and offer the same features in every room as listed below. One room sleeps three (Fleet Suite), and one can be made up as either a King or two twin beds (Sailing Capital). The en-suite bathroom includes stand up shower, toiletries (soap & shampoo) as well as make-up towel and hair dryer.